So I played with it a bit to see if I can find any holes. I first found a few bugs that are not exploitable on Google Sites and reported those directly to the Google Caja team. These bugs are not yet fixed so I won't write about them at this time. However, when trying to exploit one of those bugs on Google Sites, I discovered another issue there related to the parsing of user-supplied HTML. 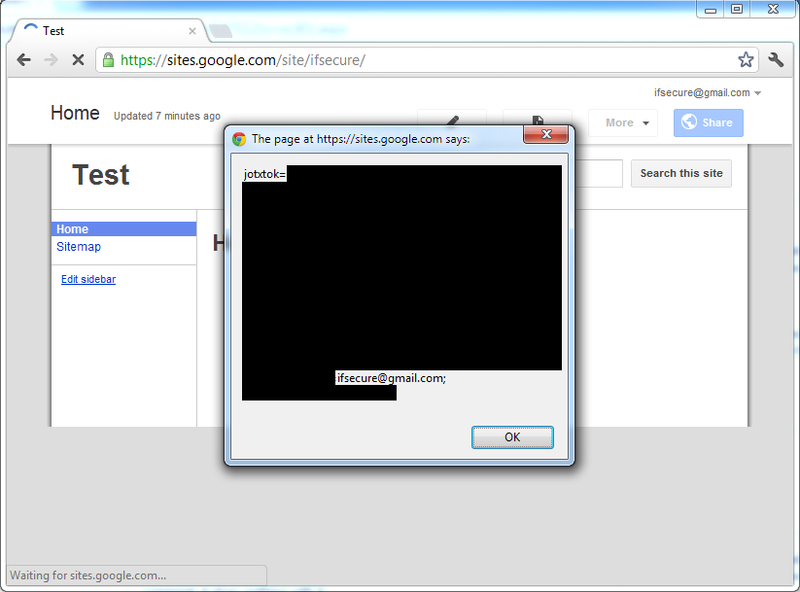 This issue can be used to cause a stored XSS in sites.google.com. In order to understand the issue, let's first look at how Google Sites handled some of the user-supplied HTML input. When parsing the HTML code above, the two CDATA blocks would get merged and, in doing so, a new closing </noembed> tag would be formed. Thus, the noembed tag would get closed before expected, and the content of the script tag would get executed. This is shown in the image below. This issue was quickly resolved by the Google security team and now the HTML special characters are escaped even in noembed and similar tags. Thanks! The google analytics keyword not provided sometimes so we should keep our focus on that keywords that are most expensive and useful in gooogle.